Jordan Witzigreuter of the Ready Set was exhausted and adrift at the end of 2014, so he put the band on hold for most of last year, and focused his efforts on Nekokat—a side project including Jess Bowen of the Summer Set. With Nekokat, he rekindled what had gone missing, and by the end of 2015, a brand new Ready Set album—I Will Be Nothing Without Your Love—was written and produced almost entirely by Witzigreuter. The latest addition to Hopeless Records, their new album will be released April 8 and its lead single, “Good Enough,” is out today. You can preorder the album or get the single on iTunes. 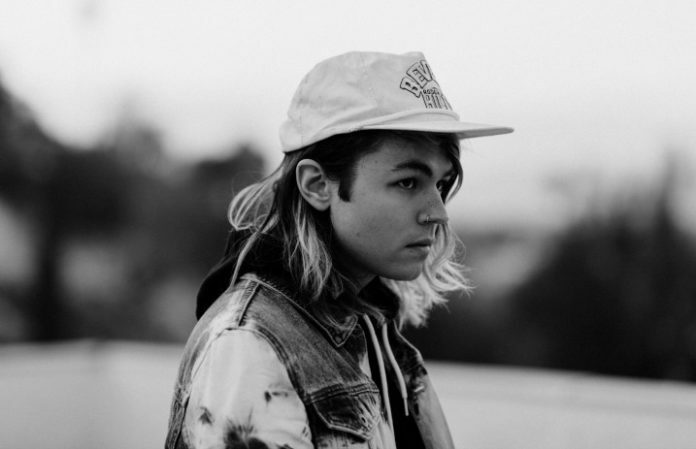 We caught up with Witzigreuter to talk about all the new developments for the Ready Set: “I've been trying not to say much about it because I want it to feel like it comes out of nowhere instead of leading up to it too much,” he says. What made this the right time for you to move to Hopeless? I think that being at Hopeless now is going to enable me to do things that I've wanted to do for a long time. In the past, it's been very single-oriented and all about radio campaigns. I feel like this time, it's going to be a little less of that and [more of] me being able to be more creative and put out things that I want to put out. What have you wanted to do in the past that you can now make happen? I never wanted things to be presented overly pop-feeling. That's always the way things leaned in the past, and obviously I still make really poppy music, but I never felt like having things presented in a pop star way ever really fit me. I never really was too comfortable with it. Now, it gets to be a little more honest feeling. It feels more like me. I changed a ton. I was in this weird spot at the end of 2014 where I didn't really know what I wanted to do anymore. I was on tour and I felt like I wasn't progressing. I didn't really know what I was doing. I got burned out on everything and didn't want to write the Ready Set stuff at the time, so I started a side band, Nekokat. It sort of revitalized my excitement to write because I started writing from a different mindset and a different mentality. Over all of last year, I reevaluated everything. I learned a ton about production and about everything that is involved with what I do. [Now,] I feel a lot more clear-headed about it. The whole album was made completely by me. Produced and engineered in my house, so it's all very stripped down and back to how I started and how I envisioned this from the beginning. The album is pretty minimalist. What's behind that shift in sound? I liked the idea of stripping back some production and letting songs be down to their basic elements. I feel like sometimes, that's the best way to make things sound bigger, just like I think being able to sit down and produce everything without any outside help or input definitely led me to finding my exact production style. I think doing everything myself defines this style that you hear throughout the whole record. This album sounds like it's going to be a personal statement for you. What do you want people to walk away with? I never want to have this agenda of what I want people to take from the music. I want them to feel whatever they feel from it, and hopefully enjoy it. With this album, it's more personally me throughout the whole thing. There are things that I've wanted to say and be able to write about and now I finally get to do it. Do you see this as an opportunity for a fresh start or as a continuation of the Ready Set story? I really hope it's a fresh start. I've been in every type of position you could probably imagine in the music industry. Every type of up and down you could think of, I've probably been through it. And I'm really glad that's the case, because I've learned a lot of stuff, and I feel like I have a better grasp of what I'm doing. But I think that it needs to be a fresh start because everything's always felt like there was something missing. Now, it feels a little bit more real to me and I feel more confident. I feel happier with everything. I usually have a huge anxiety thing before I put out new music, and I freak out so much about everything. This time I feel really calm about it, which has never happened before. I don't know what that means, but it feels like it's a really positive fresh start.